Risks within the construction industry are rife, therefore, putting the right practices in place to protect your workforce is imperative. 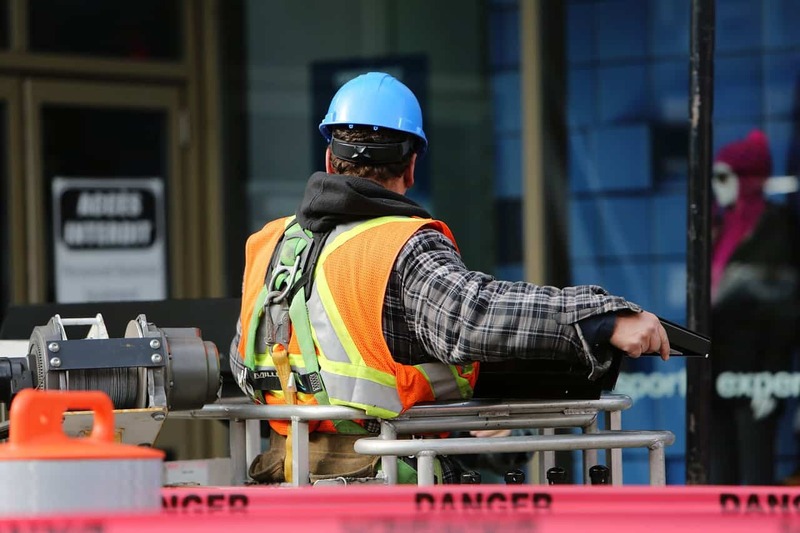 As an employer in the building or construction trade, you have a legal and moral obligation to reduce the risk of injury to not only those working on your sites, but also to anyone visiting. This can be achieved by ensuring you complete a sufficient risk assessment report for construction, covering all areas of your workplace as often as is required. 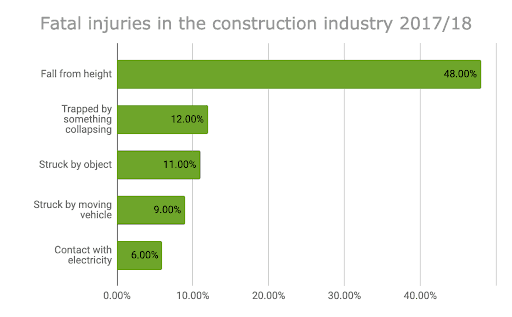 Although there has been a significant reduction in injuries and deaths reported in the construction industry over the past 20 years, it still remains one of the highest risk industries to work in. RIDDOR reported 38 fatal injuries in the construction industry (seen below) for the period 2017/2018, with the highest percentage of deaths caused by falling from a height. Source: RIDDOR 2013/14 – 2017/18 – accidents are shown for the top 5 causes of fatal injury. Not only will this keep health and safety at the forefront of your mind, it will also help instill it within your workforce, making them more aware of risks in their day-to-day activities. Here at Direct Safety Solutions, we offer risk assessment services that include specific risk assessments and method statements to ensure you meet all the necessary legal requirements. As the RIDDOR statistics above show, 6% of deaths in the construction industry for 2017/2018 were from contact with electricity. 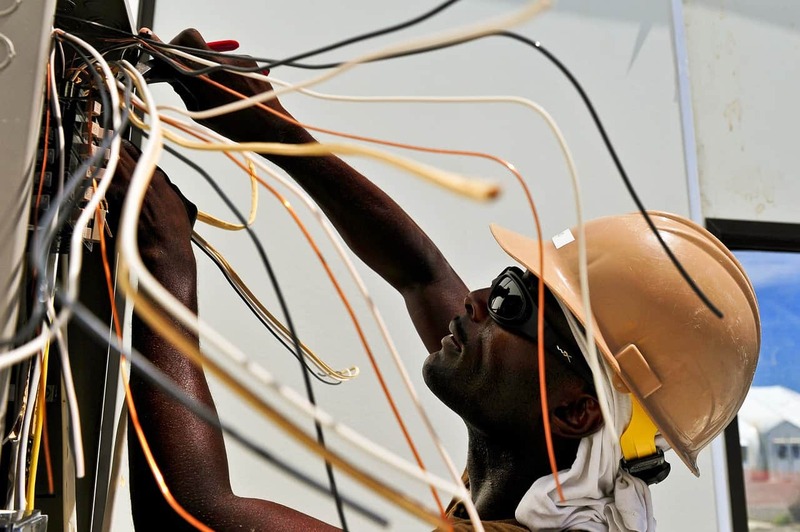 Unlike most other hazards in the construction industry, electrical hazards can be much harder to detect, which is why risk assessment for electrical work should be carried out thoroughly and regularly. When completing an electrical risk assessment, you should take into consideration the type of electrical equipment being used, the way it is being used, and the environment it is being used in. You should also ensure that proper maintenance is carried out as regularly as needed for each piece of equipment being used. Our risk assessment services allow us to work with you and your workforce in a team effort to ensure all the essential practices are in place so that workers and the public are kept as safe from harm as possible. Get in touch today to learn how Direct Safety Solutions can help develop your risk assessment program. Direct Safety Solutions is ISO 9001 Accredited!